BABIYACHAUR (Myagdi), Sept 5: Locals in various 10 VDCs in the northern part of Mygadi district have been facing difficulties since the floods swept away most of the local bridges, trekking trails and roads in the locality. URLABARI (Morang), Sept 5: An elderly person was killed in a road accident in Biratnagar-8 of the district this morning. The deceased is Bhojraj Koirala, 66, of Biratnagar-4. KATHMANDU, Sept 6: Buzz Aldrin, American engineer and former astronaut, who is the second among 12 persons to have stepped on the Moon, spent a whole day in Lumbini, the birthplace of Gautam Buddha, along with his team members. He had arrived in Nepal on Sunday with a six-member team. 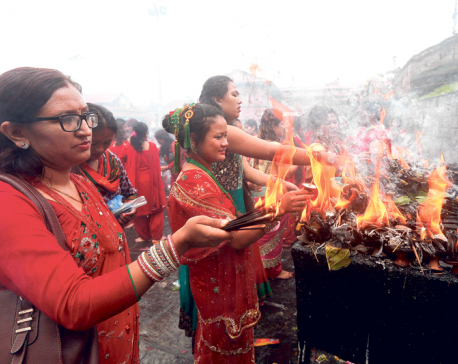 KATHMANDU, Sept 5: The devotees are paying homage at the shrines of Hindu God Ganesha on the occasion of Ganesh Chaturthi today across the country. MYAGDI, Sept 5: The unwelcome appearance of fissures on the surface and sporadic landslips in Banshbot locality of Begkhola – 1 of Myagdi has become a worrisome factor for the locals. 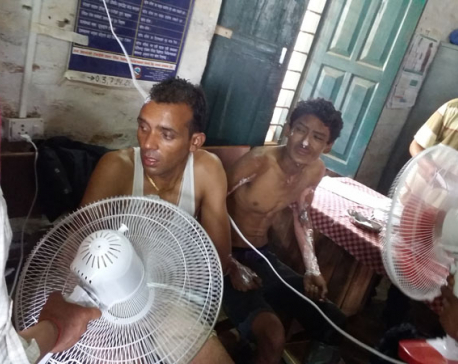 JAJARKOT, Sept 4: A woman died and four people were injured after a fire broke out at a petroleum depot in Khalanga, the district headquarters of Jajarkot, on Sunday. 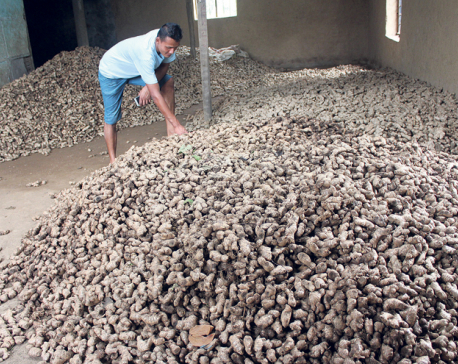 KATHMANDU, Sept 5: Indian government's decision to impose a ban on import of ginger from Nepal has left the future of Nepal's ginger farming highly uncertain as the southern neighbor is the main market for the product. KATHMANDU, Sept 5: Despite repeated pledges by the Ministry of Education to deliver school textbooks, it has failed to do so year after year. Unfortunately, there are already signs that schoolchildren may again have to grapple with textbook shortages as they enter a new academic session this year. KATHMANDU, Sept 4: Over 550,000 devotees had offered teej prayers to Lord Shiva at the Pashupatinath Temple by 6 pm on Sunday evening.